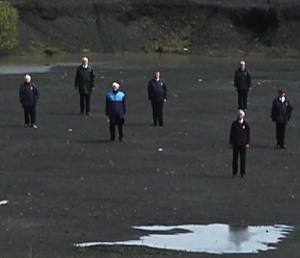 Sounds from Beneath is touring to Centre for Contemporary Art (CCA), Glasgow; Brighton Festival; Showroom Cinema, Sheffield; Whitechapel Gallery, London; Star and Shadow Cinema, Newcastle; and Picture This, Bristol. Programme of artists films includes works by Sebastian Buerkner, Zoe Brown, Mikhail Karikis & Uriel Orlow, Piotr Krzymowski, Chooc Ly Tan, Michael Robinson, Gabriel Abrantes & Daniel Schmidt, Ben Russell and others. Screening of films by Zoë Brown, Nichola Bruce, Jem Finer, Judith Goddard, Dryden Goodwin, Andrew Kötting, Trine Nedreaas, Saskia Olde Wolbers, Uriel Orlow, Tom Paine, Sarah Pucill, Tal Sterngast and Gary Stevens.